A person’s self-control plays an important role in determining their success in life, and studies show that this personality trait can be measured at an early age, through a relatively simple experiment. 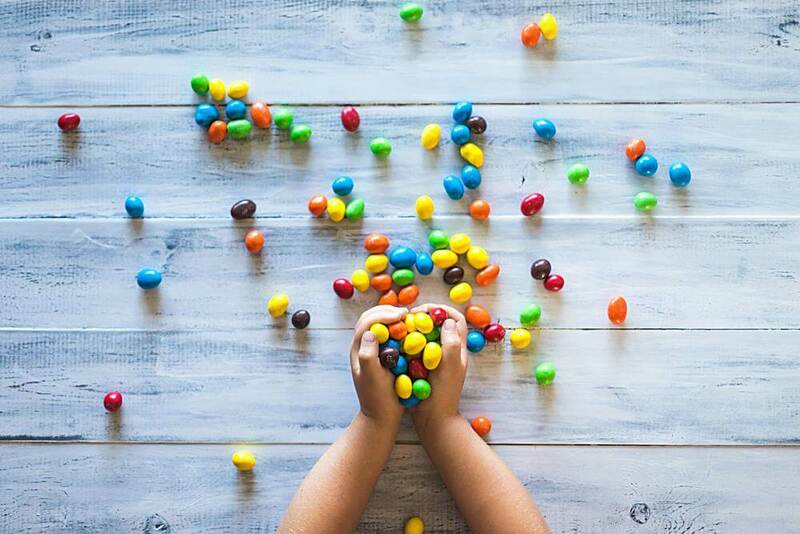 Specifically, testing whether a kid is capable of waiting for a few minutes before eating a piece of candy is a fairly reliable predictor of that kid’s self-control and consequent success later on in life. In the following article, you will see what research says on the importance of self-control, and learn how you can use a few simple techniques in order to strengthen your own self-control and willpower. A kid was taken into a room and allowed to pick a snack that they would like to eat, such as a marshmallow, a pretzel, or a cookie. The kid was then told that the researcher has to leave the room for a few minutes, and that they can eat the snack during this time. However, they were also told that if they waited until the researcher came back before eating the snack, then they would get another snack of their choice as a reward. More likely to be rated by their parents as academically and socially competent, verbally fluent, attentive, rational, and able to deal well with frustration and stress, when they were older. More likely to have higher SAT scores as adolescents. More likely to be better at handling rejection as adults. Less likely to be overweight 30 years later. This ties in with other research on the topic of self-control, which shows that self-control during childhood predicts factors such as financial status, physical health, substance dependence, and criminal offending outcomes at a later age. Furthermore, research shows that this remains the case even when controlling for background factors such as intelligence and social class, though these factors do play a crucial role in children’s development over time. Overall, the research on the topic demonstrates the importance of willpower, and shows how easy it is to get an estimate of a person’s willpower through a simple test of their ability to delay gratification. Accordingly, in the next section, you will see how your psychological self-control mechanisms work, and how you can strengthen them using a few helpful techniques. Some research on the topic calls into question the degree to which the marshmallow test measures self-control, as well the degree to which performance on this test predicts later outcomes in life, especially when controlling for background factors. Though this doesn’t necessarily invalidate research which has found an association between performance on the marshmallow test and children’s self-control and outcomes, it is something that should be kept in mind when looking at the research on the topic as a whole. Children who were told to distract themselves by playing with a toy or by just thinking about playing with one were able to delay gratification for longer. Children who were told to think about “fun things” were able to wait for significantly longer than those who were told to think “sad thoughts”. Children who were told to spend their time thinking about the rewards themselves generally struggled to delay gratification. Hot system- our impulsive, emotional system. “Hot” behaviors, which rely on this system, include things such as fixating on the rewards (e.g. imagining what the marshmallow will taste like). These behaviors undermine our self-control, and make it more difficult for us to resist temptation. Cool system- our rational, emotionally-neutral system. “Cool” strategies, which rely on this system, include things such as successful self-distraction (e.g. playing a game which is unrelated to the rewards). These strategies help us exercise self-control, and successfully delay gratification. Based on this, we can say that overall, our self-control depends on our ability to inhibit the occurrence of “hot” behaviors, by utilizing “cool” strategies. This means that you want to avoid obsessing about the rewards, or fixating on the difficulty of resisting the temptation to enjoy them. Instead, as soon as you recognize yourself starting to fall into one of these negative thought patterns, you need to mentally “exit” it as quickly as possible. You can do this by distracting yourself, and by engaging in unrelated positive experiences. This can be anything from playing a game to reading a book, to talking with a friend. The more positive the experience, and the more it can distract you from the potential reward, the more it will help you exercise restraint and self-control. This may sound difficult to accomplish, but studies show that self-control training can be beneficial in the long term, and that you can strengthen your willpower through the regular practice of small acts of self-control. This is important, since it means that doing something such as reducing your snacking behavior can later help you exercise self-control in unrelated areas, such as pushing yourself at the gym, or fighting against your procrastination tendencies when it comes to doing work. The Stanford marshmallow experiment measured children’s self-control, through their ability to wait a few minutes before eating a piece of candy. The children’s ability to delay gratification in this simple test predicted their success in various areas of life, from improved academic achievement to a better ability to handle rejection. You can improve your own ability to delay gratification by using a few simple techniques, and doing so can improve your self-control in the long run. To do this, focus on using “cool” strategies, such as distracting yourself from the rewards, by engaging in unrelated, positive experiences. At the same time, make sure to inhibit “hot” behaviors, by not fixating on the rewards, and not obsessing about the difficulty of resisting them. If you found this concept interesting, and want to learn more about it and about how you can improve your willpower, you can read one of the most influential books on the topic: “The Marshmallow Test: Why Self-Control Is the Engine of Success“.